How Early Do You Start Your Winter Holiday Reading? It is particularly difficult for me to believe we are now in the midst of our winter holidays! I am sitting here writing this entry while looking out on our green lawn. There is absolutely no evidence of this being November! It is currently 82° here in San Antonio, and we’re expecting a high of 89° today. (I’m pre-writing this entry, so the temperature may be a little different on the day I post this.) For this reason, I have been devoting all of my reading time to Cozy Mystery holiday books, with hopes there will be snow in the books’ forecasts! I mentioned in a September entry (Have You Ever Missed an Entry in a Cozy Mystery Series You Love?) that I was very surprised when my daughter pointed out that I had missed reading one of my very favorite authors’ Cozies. Well, I have made myself wait (and wait!) to read Edie Claire’s Never Mess with Mistletoe. It has been difficult, but I was determined to wait until the Christmas holiday season to read it. Last week, the day after Halloween, I noticed they started putting up the Christmas tree at my local shopping center. I hadn’t even finished the Halloween Cozy I was reading! Then, when I went to Michael’s, they had the entire store decked out for the holidays and they were already playing their Christmas music loop. All of this sort of pushed my holiday reading schedule up a notch! Long story short, I absolutely couldn’t wait, and I’m currently reading Never Mess with Mistletoe… even before Thanksgiving! I can’t be the only one who has skipped Thanksgiving and is already reading Christmas themed Cozies. There must be more Cozy Mystery readers who are as impatient as I am. So, my question to you ALL is this: If you save your winter holiday Cozies until their appropriate seasons, how early do you start reading them? PS: Normally I try to respond to all comments, but in this case I may not answer all of them >>>> as I have already stated when I started and a lot of the responses to your own answers would be of the “oh I see, that’s very interesting!” variety. I don’t wait to read holiday cozies…it’s that instant gratification thing! Christi, yes, that does seem to be one popular view. I start my holiday reading on November 1st. It helps to get me into the holiday spirit no matter what the weather is like outside. Kathleen, that does seem to be one of the more popular dates. I can especially see the attraction here in San Antonio, where the weather often doesn’t cooperate with how I view the season! I’m reading Thanksgiving cozies right now and I have a huge list of Christmas ones I can’t wait to get to. I’ll probably start those during Thanksgiving weekend, or earlier if I finish the ones I’m reading now. I’m with you – I don’t read the Christmas ones at other times of the year. Feels weird. I do like reading warm-weather cozies in the dead of winter – they remind me that the cold won’t last forever (I live in northern Virginia). Carol, that’s about how I usually start myself – though this year I did end up getting started a bit early! I’m watching the Hallmark Christmas movies already so I’m going to start reading the Christmas themed cozies well before Thanksgiving. The weather in Sacramento is dictating that because it’s finally getting cooler and we’re actually getting some rain so it feels like Christmas. I have also been waiting to read Edie Claire’s Never Mess with Mistletoe so that will be first! Bellalainie, that’s usually about how I try to arrange things as well. I just couldn’t hold off this year I guess. Amy, I guess that’s the opposite of my weather issues – we get too much heat for too long, but it sounds like you have way too much cold instead! DaShannon, it’s nice to change up the “regular routine” sometimes for this sort of thing! Cheryl, that’s one way to make the holiday season stretch a bit longer! LOL, I have a habit of reading them as they come to me, no matter what the season! Since I plow through the average Cozy in a matter of 1-2 days, I’m reading whatever I can put my hands on! Bek, that certainly makes sense for people who have the heaviest reading schedule! I’m with you Bek. I like to read series in the order they come out, so if the next book in the series is a holiday themed book, I still read it. Like you, I also go through them pretty quick, unless I am super busy. The one exception is if I have picked up a holiday themed book by a previously unread author, I will usually read them at the correct time of year. Since I usually have at least a dozen or two books by authors that are new to me, I can usually find one that matches the time of year (or the time I would like it to be). Whether I read a book during the season depends on if I buy the book or get it from the library. I am currently reading a library book called Twelve Slays of Christmas by Jacqueline Frost. I have a Christmas themed book by J.A. Hennrikus (Julianne Holmes) that I also picked up from the library this week. I saw both books on the library web page listing of new books and requested them, not knowing when they might be available. I also have two or three books that I bought that I won’t read until closer to Christmas. Janice, it certainly makes sense to just read what you can when you’ve got a loaned book, either from a library or from a friend, so you can get it back as soon as possible. Danna: I am afraid I’m totally boring and predictable in that I read Halloween books during that season, started my Thanksgiving reading now through Thanksgiving and doing the Christmas starting Dec 1! I am a thoroughly boring person, I’m sure. I just can’t get into the spirit of the holiday until it is upon me. But thankfully, for our authors out there, plenty of people dive in and read when their author’s work comes out-although, I did read Emily Brightwell’s Three Wise Women early and am reading Debbie Macomber’s Merry and Bright right now. I guess I can break the mold sometimes! It is currently predicting snow tonight and tomorrow with temps down to about 36 degrees. No snow yet but there will be. But then, I’m a yank and I did 10 years in Dallas/Ft. Worth and Corpus Christi during the Gulf War/Dessert Storm. So between the excessive (for me) heat and Michigan’s cold/wet weather, I’m not a sissy, for sure. I did enjoy San Antonio when I was there in 1986 for Thanksgiving and got to enjoy Mexican lunch on the River walk with a boat ride on the river and looking at the Christmas lights. I really liked the Alamo as well, but I’m a history nut so that appealed to me. Rob, that’s about how I usually try to arrange my own holiday reading – this year I just couldn’t wait! It sounds like you have a few authors of your own that you’re willing to break form your tradition for as well. I envy you your more seasonal weather a bit – sometimes it feels like San Antonio only has two seasons, Summer and not-quite-Summer. Not only have I already read Deck The Halls With Fudge! by Nancy Coco, I have started a Christmas jigsaw puzzle and have been watching both Hallmark Channels Christmas movies. I am going to bring out the Christmas tree this evening to make sure the lights are working (at least that is what I tell myself!). I just love the music, lights, food, and decorations that goes with Christmas. KG, there’s definitely something about the season that does just make you want to start it a bit early, isn’t there? I have a crazy large collection of Christmas ornaments and a couple of trees, so I often start the set-up about now, however this year, we are loading a truck of stuff we won’t be using for a while and driving it out to Arizona in anticipation of our retirement in about 18 months. As a result, my living room, family room and garage are full of stuff going on the truck next week (this includes my 20 boxes of books and my husbands 30). When I get back after Thanksgiving, I start the set-up, but since I will have less time, I may only put up one tree. I don’t necessarily save my holiday cozies for the exact holiday due to time. Plus, if I really want to read a book, it’s so hard to resist and wait! But my new book is Christmas-themed, and I have seen an uptick in sales as the holiday season kicks in. At my local dollar store, there was a big shelf of Xmas stuff BEFORE Halloween. Too early, in my book. I feel sorry for poor Thanksgiving! It really gets the short end of the stick these days. BTW, I changed planes in the San Antonio airport two weeks ago. I couldn’t believe how busy it was! But such nice people. I was sorry I didn’t have a layover that would have allowed me time to visit the city. I’ve always wanted to see its famed Riverfront. I downloaded A Cajun Christmas Killing yesterday on to my kindle. I plan to read it just as soon as I finish my current book. I have enjoyed this series. Ellen; I hope you can see San Antonio. I know Danna can recommend it but as a Yankee that spent time in Texas, it would be very much worth your while to see that lovely city with it’s friendly people during the holidays especially but do the river walk from T-giving till Christmas. It was delightful! Ellen, it’s definitely interesting to hear an author’s perspective! I’m not surprised that holiday themed books see a bit of a sales increase around the appropriate season. I’m also not surprised to hear that your stores are starting Christmas earlier and earlier! I guess that Thanksgiving just doesn’t sell like Christmas or Halloween. Julie, I agree! Just an FYI for those that haven’t read it……I LOVE “Winter Solstice”. 🙂 I lend my copy to friends all the time, and have often recommended it to book groups. Thanks for your post. Just added Winter Solstice to my TBR list! Julie, forming a holiday tradition like rereading an old favorite book definitely seems like a good way of getting into the right spirit. For me it’s usually rewatching movies from when my kids were little – Christmas Story, The Christmas Toy, and similar favorites! Thanks you so much for recommending Winter Solstice, I just requested that book from my library, can’t wait to read it. I truly love Christmas novels and movies. And I confess I have started reading Christmas themed novels and watching the Hallmark movies. Since moving to Florida I miss the cooler weather but not the freezing temperatures and subsequent out of the world heating oil bills! If you love Christmas novels, you’ll really enjoy Winter Solstice. I just have to finish up a couple of cozies from the library and then I will dive into my Christmas reading! I was surprised that Hallmark started their holiday movies before Halloween this year, but I’ve recorded the new ones and some of my favorite old ones, and I need to get started watching those because the DVR is filling up!! Julie, small world. “Winter Solstice” was highly recommended on another blog I visit. I’ve already ordered it. Really looking forward to that one. Julie Smith, you mentioned 2 of my favorite authors. I love all things Scotland, so Rosamunde Pilcher is one of my favorites, along with Alexandra Raiffe. I have not heard many people mention Miss Read. Her books are delightful. I too, live in Idaho and time my reading around what is going on in nature rather than the calendar. We received 8″ of snow last week, so I have started holiday reading and decorating. Tried to wait, but just couldn’t. Nature tells me winter has arrived…. Started this week when my copy of Donna Andrews How the Finch Stole Christmas arrived. I’m trying to read every other book as a non-Christmas cozy until December though! Don’t want to overdose too early! Sue, it’s definitely important to pace yourself – don’t get all holiday-ed out before the actual day! Your stores only put out the Christmas decs in November? Ours start around the end of September!! Of course, Halloween isn’t such a big deal here, and we don’t have Thanksgiving (I’m in Australia) so maybe there’s just less to get in the way. To answer your question, though, I’m one of those people that will read anything, anytime! Susan, I guess it’s a regional difference – we usually at least have Halloween decorations up through October! But I have noticed that Thanksgiving doesn’t have anywhere near as much of a presence in stores as it did when I was younger. Kathleen, it definitely sounds like you’re in the “I’ll read it whenever it comes out” category! LuAnn, that does seem to be one of the main points of view on this topic – to just read it when it comes out! 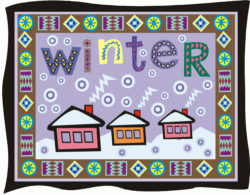 To specifically read winter cozies I would start after Halloween. However, if the next cozy in the series I’m reading is a summer or winter cozy, I would start it at any time. If a new release came out in a favorite series, I would read that at any time regardless of the time of year. Susan, it sounds like it really just depends on how much you enjoy the author then! I suppose that makes sense as well. The irony of this is several books have a holiday title, but aren’t very ‘holidayish’ at all. Just because a couple of Christmas gifts were purchased or perhaps a tree was put up, doesn’t set the xmas ‘mood’ for me. I found that to be the case in the last two ‘Christmas’ titled books I read over the past couple of weeks. The same goes for Halloween themed books, many referring to Halloween, but really don’t have any activities to set the mood. On the other hand, sometimes Christmas themed books are released very early. I don’t want to wait six months to follow the story lines of favorite characters. An excellent example of that is Krista Davis’s “The Diva Wraps it Up’ which had a June release date. I’ve also seen Halloween themed books released in Nov. and Dec. and I’m NOT going to wait for a full year to read it. (Again, a Krista Davis book, “The Ghost and Mrs. Muir” with a Halloween theme, released in December.) You recently mentioned Joanna Carl’s, “Chocolate Bunny Brouhaha” in Cozy Mystery News. It has an Easter theme, but was released in November. And, frankly there wasn’t very much reference or descriptive writing to Easter in the story…..at least not enough to make it feel like Easter or even spring. I guess that’s my way of phrasing it IF there is LITTLE ‘descriptive writing’ combined with activities incorporated into the story lines involving the holiday, then it’s NOT worth ‘waiting’ for the holiday to read it. Back to the irony — we don’t know until we read the book if that’s the case or not!!! MJ, yes, I do admit I can get a bit annoyed when a book that is labeled for a given holiday and falls a bit flat on the promise. Still, a great book is its own reward, even if it isn’t quite as Holiday-ish as I could sometimes hope! That is the main reason I don’t wait for the season. If I buy a Christmas book in mid-November, I might wait until December to read, as my TBR list it over the top, but if it comes out in June, I am probably not going to wait. I have no patience and little self control when it comes to books. I had planned to wait and let my husband buy the November releases I want as Christmas gifts, but I got a big bunch of discount coupons from B&N and a couple of friends gave me ones they would not be using, so I have purchased 5 new books in the past week. Maybe I should have said I nave NO self control. Sigh. I make my list of books the last week in October and started reading the Christmas mysteries on November 1st. This is really putting me in the mood for Christmas. Right now I am reading a Christmas mystery in Provence by Mary-Jane Deeb. I have also started watching the Christmas movies on hallmark. Laura, November 1 does seem like a fairly popular “compromise” date for starting Christmas Cozy reading. It definitely seems like that’s when you start seeing other Christmas stuff, at least here in the United States. I read a book when the spirit hits me. It could be Autumn & I might read an Easter theme, etc. Lois, that sounds like a nice way to handle it – just read what you want when you want to! No need to overthink it. I read Christmas and winter books in hot humid summer!! One I read every summer is “The Long Winter” by Laura Ingalls Wilder. I read it again in the dead of winter to appreciate having heat! As soon as it was a little cool this year I was reading Christmas! Cindy, it sounds like you’re definitely a “Christmas in July” sort of person! Cindy, “The Long Winter” is another Christmas story that was highly recommended on another blog I visit. I’ve ordered that one too. Sounds so good. I must be scrooge. I will start reading the day after Thanksgiving. While every one else is out looking for so called bargains, I’ll be nice and cozy, reading my cozies. I’ll even read winter themed cozies in the dead of winter, because if the author is a good wordsmith, I can believe it’s not so miserable outside. And visa versa. Suzanne, I wouldn’t call that being a scrooge – personally I never do much “Black Friday” shopping! Especially now when online shopping is so convenient. I don’t like crowds so no Black Friday for me. These days, most of my gifts are going to people on the other side of the country, so I go on-line Thanksgiving morning and order everything to be shipped direct. Now that you can get them gift wrapped, it just makes so much more sense. For the occasional one that doesn’t gift wrap, I have agreements with a couple of relative who accept the delivery and wrap them for the correct person. I love to send family members books as we are all readers and I have a sister who has a birthday coming soon. We used to buy each other books because we could keep up with what the other had purchased, now I just send a gift card for her age (the one time it pays to be getting older). Vanessa, that’s how I usually do my own reading. This year I just couldn’t hold off I suppose! Greetings from cold Minnesota where we had a beautiful snow last week. It’s gone now but put me in the mood so I started my Christmas reads and re-reads early. Your Cozy website holiday lists are wonderful!! I also read new books by favorite authors – just finished new Bailey Cates. Emma, it does make sense that the weather would influence what sort of books you’re more interested in reading! Greetings from Arkansas! It was 36* this morning, but it climbed up to 65*, & was wonderfully sunny all day. Not really winter weather. I fit in the “read ‘em when you grab ‘em” category. However, I just happened to grab Rhys Bowen’s “The Twelve Clues of Christmas last week at the library. Loved it, love Lady Georgina Rannoch. She’s my kind of sleuth! Becky, just reading the books when they become available is definitely a popular option it seems like – though when it works out that you happen to have a Christmas Cozy in time for the holidays must be a nice coincidence! This year I didn’t have a chance to read any Halloween or Thanksgiving books because I’ve been reading so many other things! Then I started watching the Hallmark movies and they really got me into the Christmas mood. Now, all I’m looking for are Christmas stories. So far I’ve read three — all historical fiction, one cozy and the other two are Christian romances. And I have many more waiting for me at my library and Amazon! Sharon, it sounds like you skipped right to the big holiday this year. Not too surprising, since Christmas is the single holiday with the most Cozies released about it. I normally read holiday themed book all year round except christmas ones. I usually wait til the week of Thanksgiving or after but this year seeing all the Christmas decorations makes me want to read them early. Christina, hmm, so you just make a special exception to hold aside the Christmas books until the holiday season. That’s not an answer that has popped up much yet! I received Krista Davis Not a Creature Was Purring on the release date of November 7th. I have been reading a library copy of Jan Karon’s To Be Where You Are. I also have some other books to be read first. I read a lot of Christmas books after the holiday when they show up on the library shelves. I love Laura Ingalls Wilder’s books. I have the whole series. I love her stories about Christmas and all the ways they did things back on the frontier. I plan to give them to my granddaughter when she is old enough to read them. I hope she will like them. Patricia, reading books when they’re available certainly seems like a good way to handle it! I don’t read per holidays, but per my favorite author, whenever a new one comes out. I also do most of my reading in the winter, because even though I am retired, that is when I have the most time. I live in SW MI – cold, cold winters! LOL! Nothing beats getting comfortable in my recliner with a cup of hot cocoa & a book by one of my favorite authors. Cleo, that’s a reasonable enough answer, since I’m guessing a lot of people are stuck inside more during the winter months. Though I definitely read more holiday books this time of year, I’ll read them whenever I get a feeling it’s time for some seasonal fun. Cheryl, picking out a good holiday Cozy when you’re looking for a bit of a holiday seems like a good plan. Tari, yes, Christmas is definitely the biggest Cozy holiday, so it’s not surprising to hear when people only really read Christmas Cozies for the holidays.